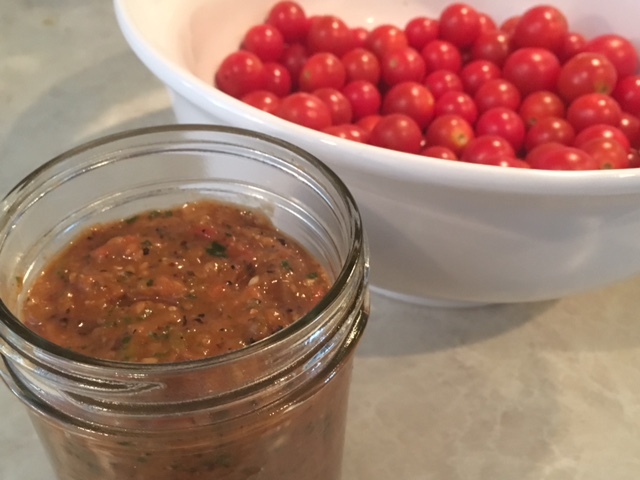 A few weeks ago I finally had enough cherry tomatoes to give the Fire Roasted Cherry Tomato Salsa recipe I wrote about in February a whirl. The cherry tomatoes I had in abundance were two varieties of yellow tomatoes and I thought that would work nearly as well as the red. I was mistaken. 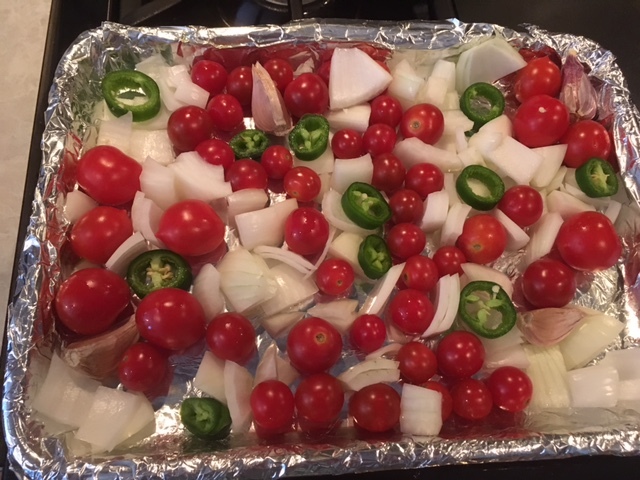 The salsa was flavorful and had the perfect amount of heat, but without the red tomatoes it lacked the acidic tang this salsa needed to balance the sweetness of the fire roasted onions. So last week I tried again with farmer’s market red cherry tomatoes. The kitchen smells unbelievably good during and after the fire roasting step! 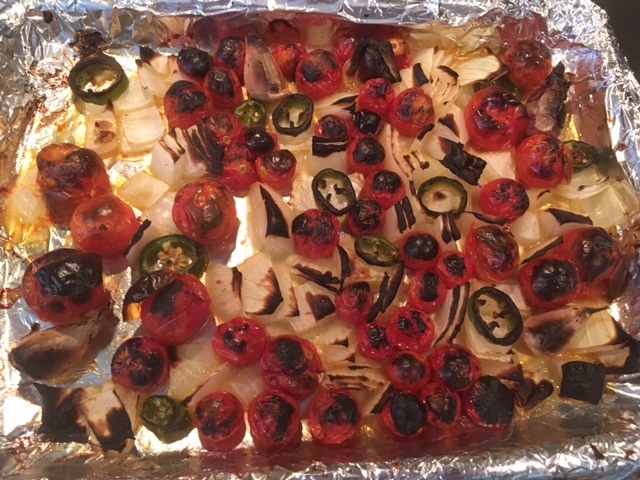 The mulligan Fire Roasted Cherry Tomato Salsa was delicious and I will need to rethink my yellow/red cherry tomato planting ratio for next year. This entry was posted in Chef John, Cherry Tomatoes, Farmers' Market, Food Preparation, Salsa, Sustainable, Tomatoes. Bookmark the permalink.